Providing a safe, loving and supportive environment to bring out the best in your growing child is our top priority. Your child will explore their natural curiosity through light, reflection, sound and texture in age-appropriate ways. As your child discovers the world around them, they will develop passions and their own voice. Your child will grow exponentially during their early years! We will provide developmentally appropriate activities to help your child grow on track and at their own pace. We focus on social, emotional, motor and literacy skills. 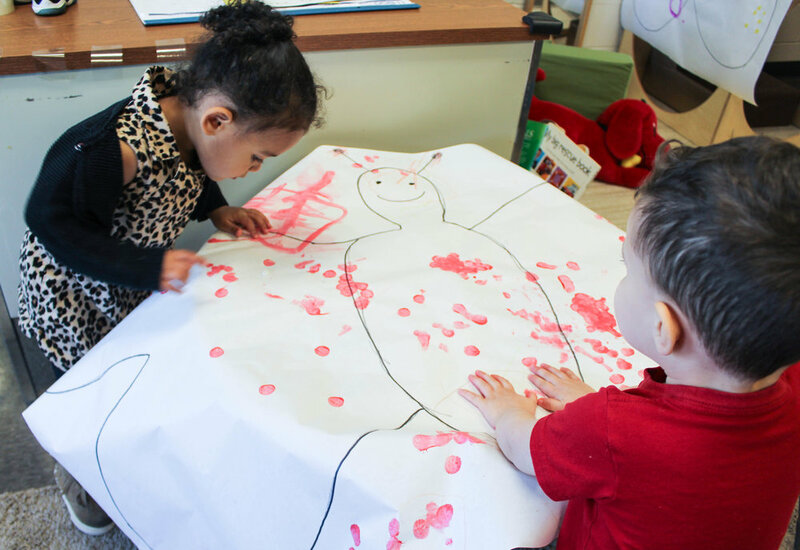 Our infant and toddler teachers spend a lot of time building a relationship with your child to develop trust and create a positive and supportive environment where your child can be free to explore and express themselves. Our environment engages and inspires curiosity in our young learners that prepares them for early success. But don’t take our word for it… hear from our parents!